Gov. 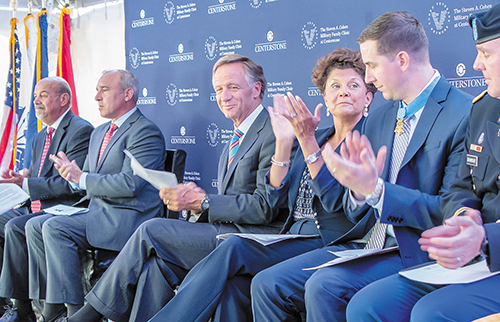 Bill Haslam (center) joined a number of other dignitaries to mark the grand opening of the Steven A. Cohen Military Family Clinic at Centerstone. The Clarksville clinic will serve as a new behavioral health resource for veterans and loved ones. Governor Bill Haslam was on hand along with other officials last month for the official grand opening of the new Steven A. Cohen Military Family Clinic at Centerstone. Located in Clarksville, the center seeks to be a resource for veterans and families in a post-9/11 world. "Clarksville is home to one of the largest populations of retired military in the country," said Lisa Eggebeen, MSSW, LCSW, clinic director for the Cohen Clinic at Centerstone. "The need for mental healthcare services in this region and among this population is great, and this clinic will be an incredible resource for the community. We are pleased that we can provide timely and compassionate care that changes people's lives for the better." The new 10,000-square-foot facility offers outpatient treatment for post-traumatic stress, depression, anxiety, adjustment and transition issues, relationship issues, children's behavioral issues, anger, grief and loss. The clinic provides behavioral health and case management services for veterans, regardless of their discharge status or role. Additionally, services are available to veterans' families and to the families of active duty military including spouses, children, parents, siblings or caregivers without regard to ability to pay. The staff of the Cohen Clinic at Centerstone has been trained in military competencies to meet the unique challenges of the armed services community and their families. Currently, the clinic has four full-time therapists but has pledged to add staff as needed to meet demand and see patients in a timely manner. While the ribbon cutting ceremony was in August, the clinic began seeing patients earlier this spring and has already worked with more than 200 service members and their families. New clients are given an intake screen when they initially contact the clinic and should expect their first appointment within a week. The clinic is a partnership between national behavioral healthcare provider Centerstone and the Cohen Veterans Network (CVN), a not-for-profit organization serving veterans and their families through a nationwide system of mental health clinics. 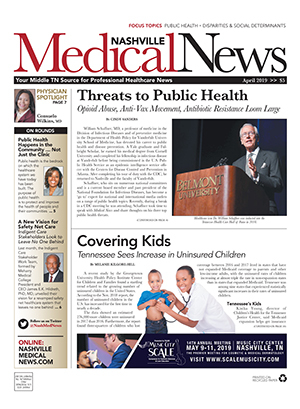 CVN, which was established in 2016 with a $275 million commitment from philanthropist Steven A. Cohen, has now funded 10 clinics across the nation with this being the first in Tennessee. "We're honored Cohen Veterans Network selected Centerstone for this partnership," said Bob Vero, EdD, CEO of Centerstone. "Our organizations share a commitment to providing specialized care to veterans, service members and their loved ones. This clinic expands the ways Centerstone serves military families, and we look forward to working with the Cohen team to continue to explore how we can leverage our resources and expertise to reach more people in need." Centerstone also announced a new executive director for Military Services in August. Jodie Robison, PhD, LPC-MHSP, NCC was tapped to fill the position previously held by Col. (Ret) Kent Crossley, who is retiring this month. Robison has more than 18 years of behavioral health and management experience. 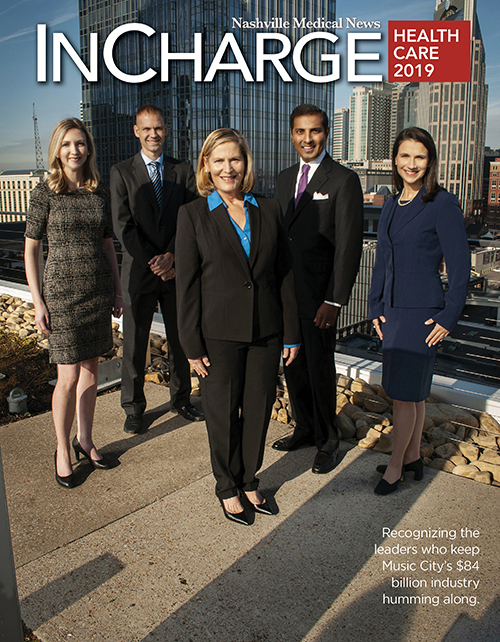 She will oversee Centerstone's military-related services, programming, operations, business development and fundraising activities from the behavioral health organization's Nashville headquarters. Before her new appointment, Robison served as the lead clinician for the Cohen Family Clinic at Centerstone and prior to that as director of clinical services for Centerstone's Military Services. Robison first joined Centerstone in 2007 as a behavioral health worker in Pediatric Integrated Care before establishing her own private behavioral health practice in 2012. Active in the military community, she is both a military spouse and parent. Professionally, she has collaborated with numerous military-related organizations throughout her career. "My entire life has been around the military, and I've made it my mission to serve those who've been willing to sacrifice so much for me and my family," said Robison. "I'm committed to helping provide our service members and their loved ones with the support and services they need to lead the most fulfilling lives possible." 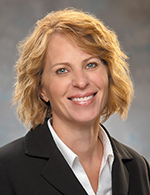 Robison received her master's in counseling and personnel services from the University of Maryland and her doctoral degree in human services, social and community services from Capella University. She is a member of the American Counseling Association, American Mental Health Counseling Association and Tennessee Licensed Professional Counselors Association.